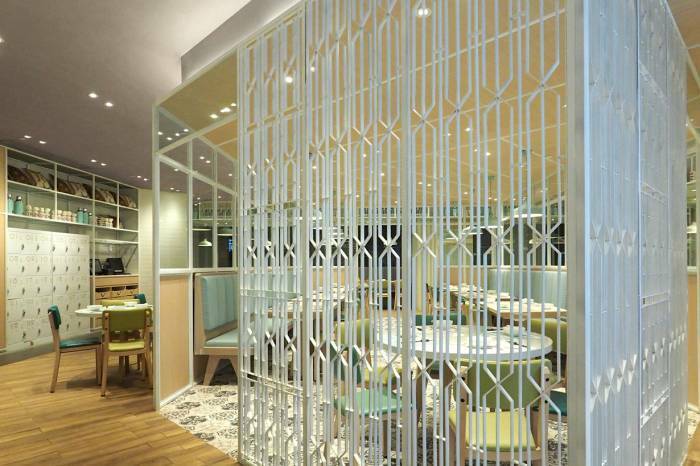 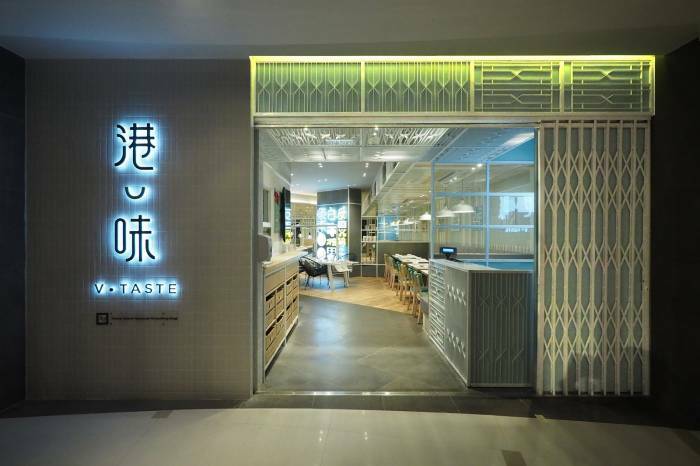 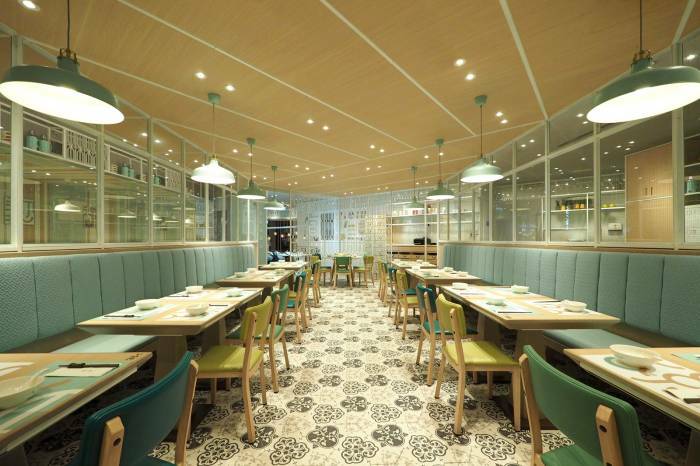 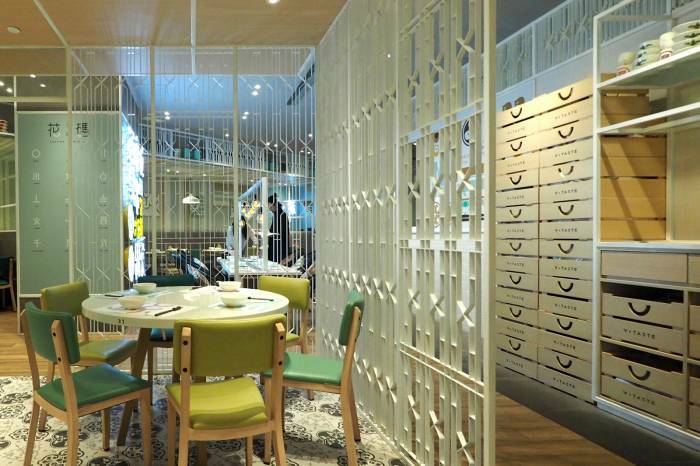 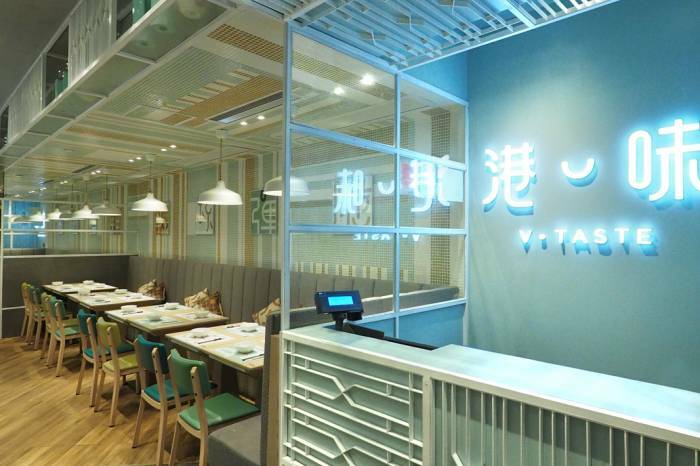 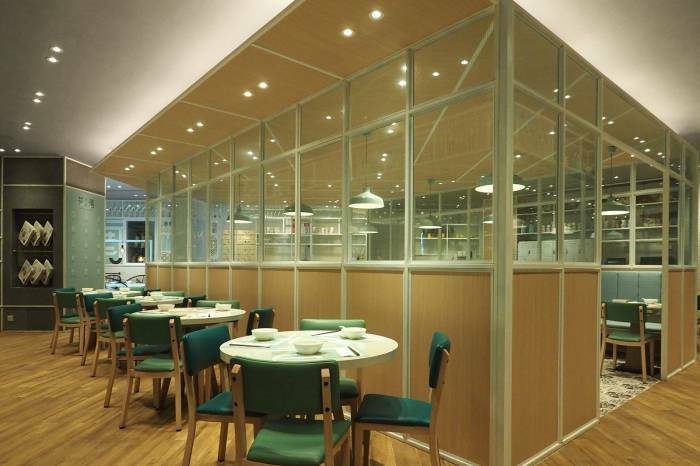 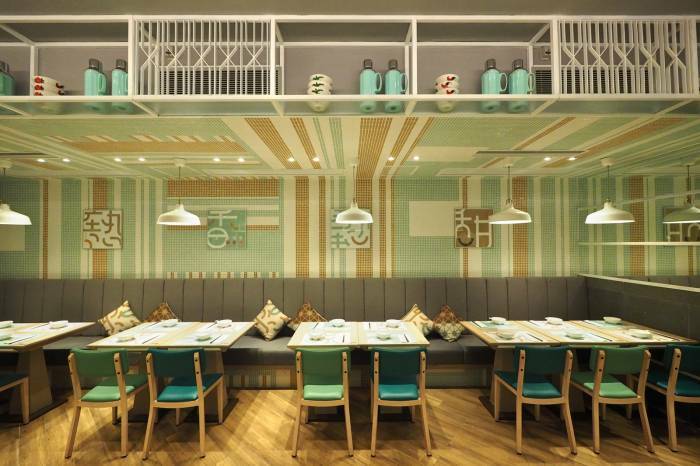 The design concept of V · Taste is to manipulate a series of Hong Kong Nostalgia elements in a modern design approach, aim to attract youngsters to enjoy Hong Kong localized cuisine. 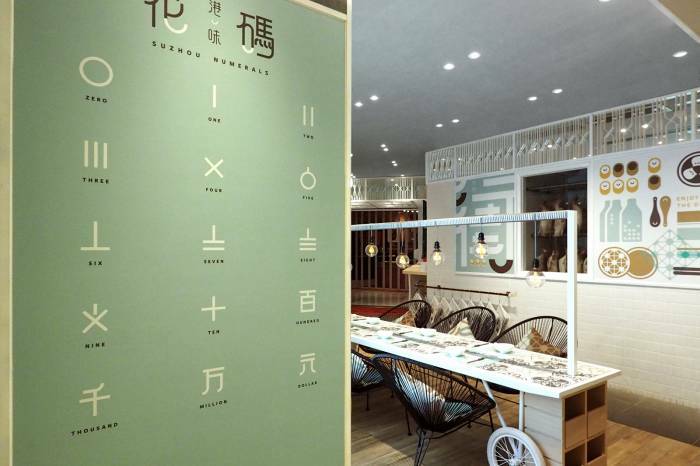 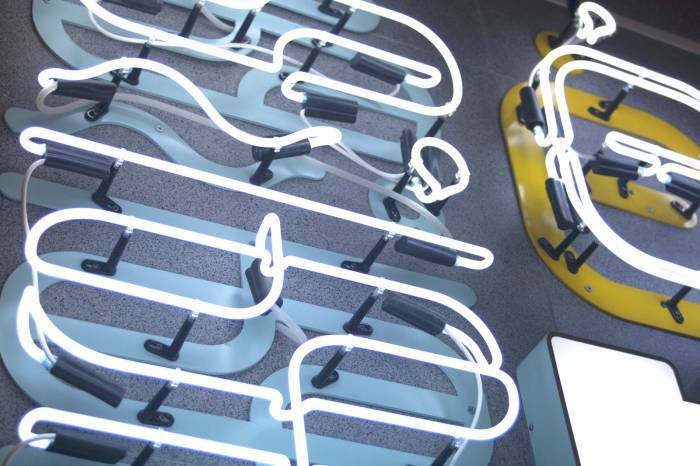 "Collapsible metal gate", "iron ornamental work", "wooden trolley kawker stall", "traditional market numbering system", "neon light", "cha chaan ten handwritten order", "thermos kettle" and "chicken printing bowl" are subtly merged into the dining space through spatial, display and graphic design solutions. 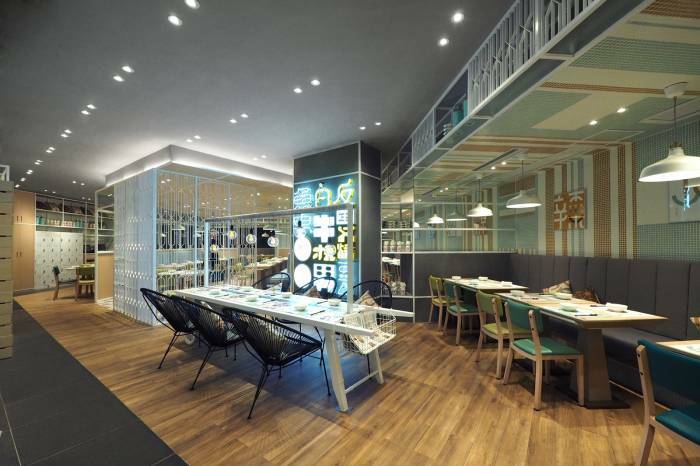 The customers can enjoy the delicious food and the elasped time of traditional Hong Kong.